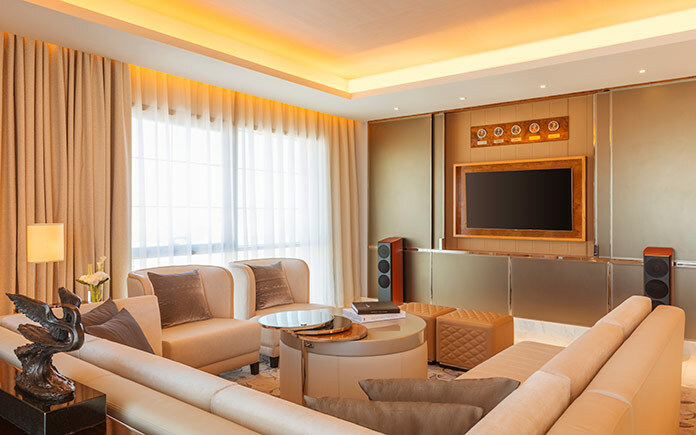 A new level of luxury is launched in the Middle East with the introduction of the latest Bentley Suite at The St. Regis Dubai in Al Habtoor City. The ultimate statement of luxury beyond compare, the suite reflects the bespoke craftsmanship of the pinnacle Mulsanne model. 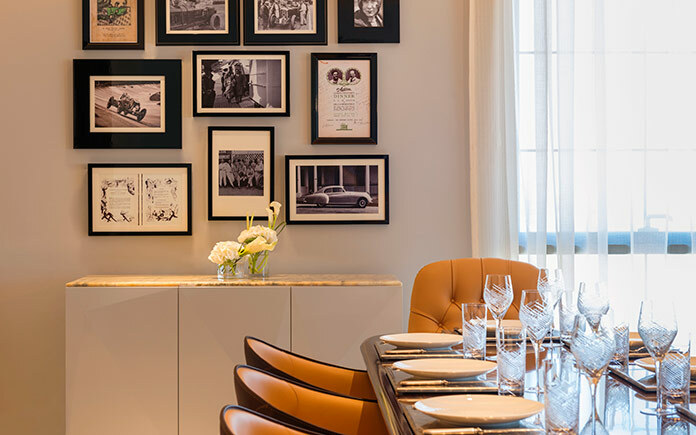 This latest creation from the celebrated collaboration between Bentley Motors and St. Regis Hotels & Resorts, is part of the growing collection of acclaimed signature Bentley suites – currently also located at The St. Regis New York and The St. Regis Istanbul. The suite features hand-crafted finishes and one-of-a-kind furnishings, combining the comfort and confidence associated with Bentley and the impeccable elegance of The St. Regis brand. Located on the fourth floor of the hotel, the custom-designed one-bedroom Bentley suite features a spacious entry foyer, generous living room and dining area, with floor to ceiling windows overlooking the hotel’s beautifully tended gardens, lavish bathroom, walk-in wardrobe and dedicated dressing area. 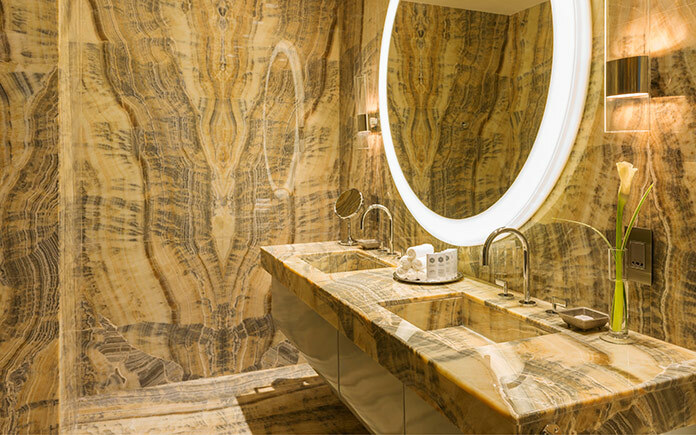 On entering the 195-square-metre suite through a pair of double doors, guests are greeted by a blend of cream and neutral tones, set against the rich wood finishes, elegant marble floor and leather accents on hand-crafted furnishings. The entrance to the suite features Bentley-painted walls with polished steel detailing and a sleek walnut veneer ceiling. In the living room, an exquisite LED chandelier inspired by the headlights of the Mulsanne takes centre stage above the 12-seater smoked fiddleback veneer dining table. 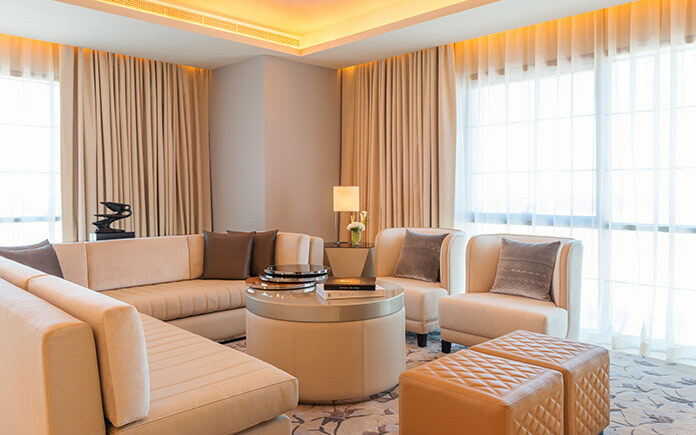 Providing absolute comfort and relaxation, an ultra-luxe fluted linen leather sofa is accompanied by two camel hide ottomans, with Bentley’s signature diamond quilting, to complement the seating arrangements. 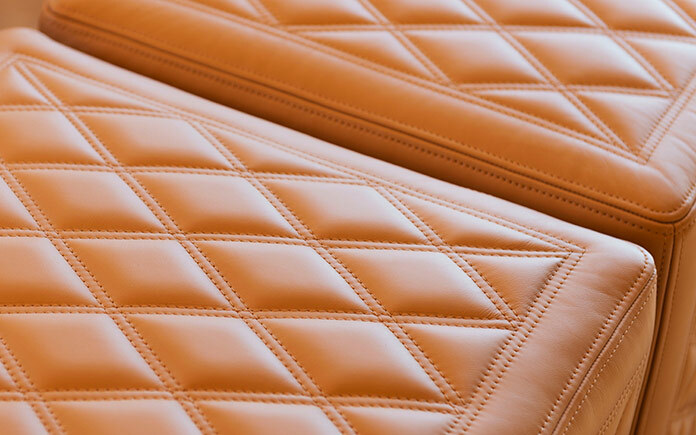 Adding to the room’s rich mix of textures is a carved rug reminiscent of the matrix grille on the Mulsanne. Consistent with Bentley’s ‘hidden delights’ concept, the main wall slides back to reveal a television screen and five Breitling clocks keeping time across major gateway cities. The adjacent study echoes Bentley’s signature Mulliner room with veneer walls, a silk carpet, and a luxurious sofa adorned with cushions featuring Bentley seatbelt detailing. The signature room features a custom-made multi-compartment coffee table featuring Bentley ice lacquer and porpoise hide tray detail. 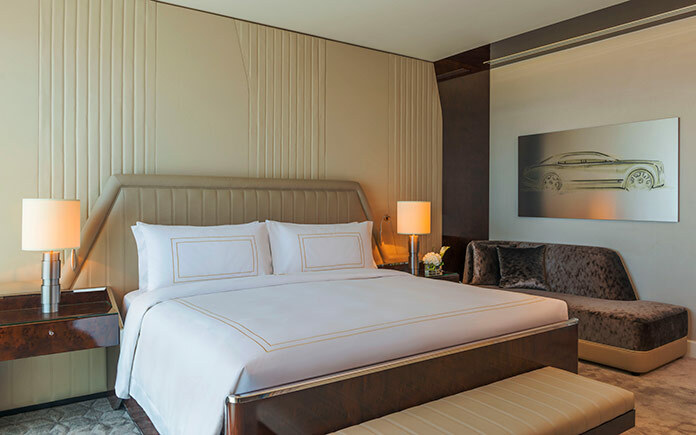 The master bedroom displays fluted Bentley leather walls, bedside tables inspired by the Mulsanne Speed wing emblem in Burr walnut and carved textured carpets reflecting the iconic matrix grille. 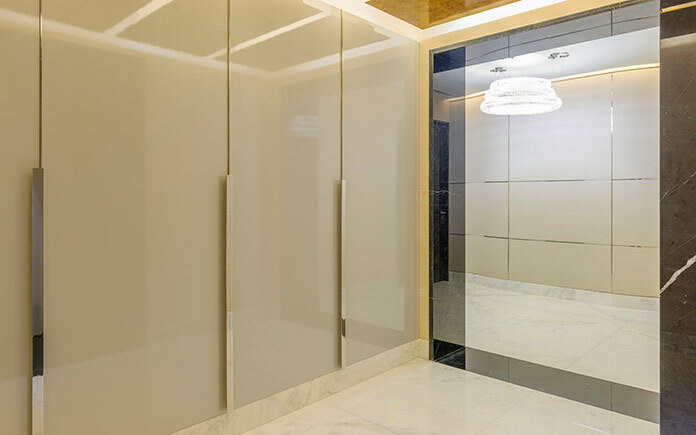 Light features are made from backlit domes of Bentley paints and in the dressing room; Bentley’s signature diamond detailing is etched into the frame of the glass mirror. Designed and engineered at Crewe from the ground-up, the Mulsanne is the pinnacle Bentley model and epitomises Bentley’s heritage, with its passion for power and speed. In addition to the Bentley suite, The St. Regis Dubai offers guests an exquisite Bentley Mulsanne as its signature in-house car. The St. Regis Dubai marked the debut of the St. Regis brand in Dubai when it opened in November last year. The hotel is part of the Al Habtoor City development on Sheikh Zayed Road, Dubai’s first fully integrated urban resort which features two other Starwood hotels under the distinct W Hotels and Westin brands as well as The Hotel Collection, The Leisure Collection and The Residence Collection. Featuring French beaux-arts architecture and neo-classical interiors, the 234-room hotel features 52 suites with impeccable detailing and luxurious touches. This is complemented by eight distinctive culinary venues, an Iridium Spa, a fitness centre and two rooftop outdoor swimming pools. Luxury-Today.com not only showcases the products and services available from the most prestigious luxury brands around the globe, but it also provides its sophisticated readership with detailed insight into a range of these subjects, which include sports and luxury automobiles, yachts, real estate, travel, private aircraft, fashion, fine jewelry and watches, art, wine, and much more. Luxury-Today.com is a luxury Web publication providing objective analysis and information to affluent consumers to assist with their decision making, such as chartering a yacht, purchasing a jet membership card, booking a luxury hotel, traveling to a specific destination, or buying real estate.